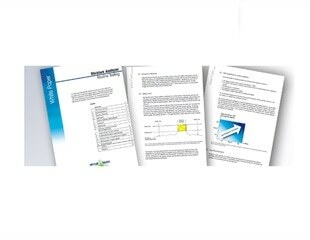 METTLER TOLEDO is pleased to present a new white paper entitled “Moisture Analyzer Routine Testing.” This informative 6-part paper discusses the routine tests necessary to ensure reliable moisture content determination using a halogen moisture analyzer. METTLER TOLEDO has catalogued more than 120 halogen moisture analyzer (HMA) methods for a variety of samples across all industries. The resulting Moisture Application Library uses a comprehensive filter set to browse through data sheets, providing method parameters and sample preparation suggestions to help implement reliable moisture analysis in the lab. A fast, easy, and cost-effective 10-minute test helps ensure reliable moisture analysis results and meets the demands of regulated industries. This rapid testing puts ongoing results-assurance in reach of even the busiest labs to improve productivity and quality. The moisture content of foods, pharmaceuticals, and other materials affects their processability and price and helps to guarantee freshness, potency and safety. SP Scientific has announced its program of events for April 2015 will focus on the latest advances in lyophilization and freeze drying. Metrohm USA and Metrohm Canada are pleased to announce the winner of the 2015 Young Chemist Award, Chad Atkins. Chad is completing his Ph.D. at the University of British Columbia where he works under the supervision of Robin Turner and Michael Blades.